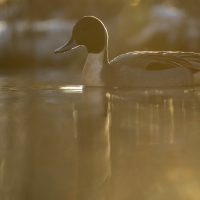 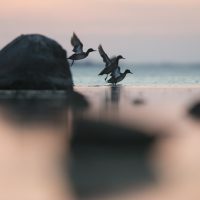 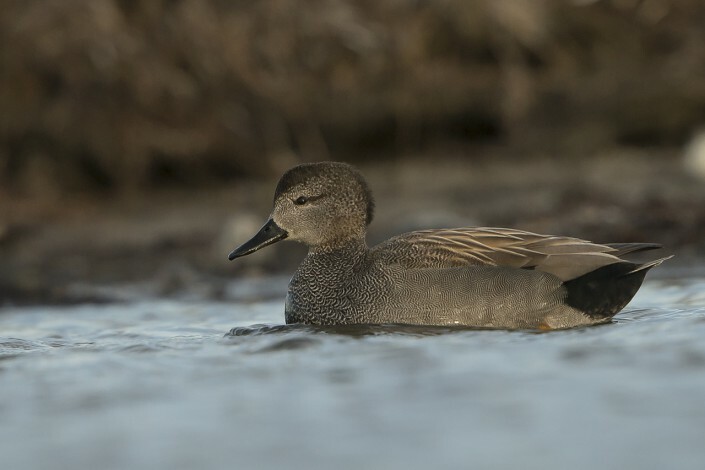 The gadwall is one of the most common and widespread dabbling ducks in the family Anatidae. 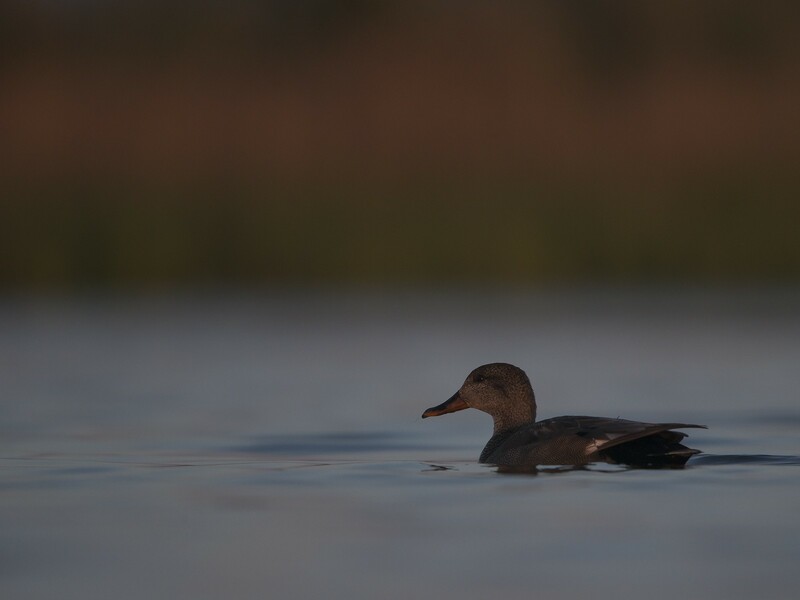 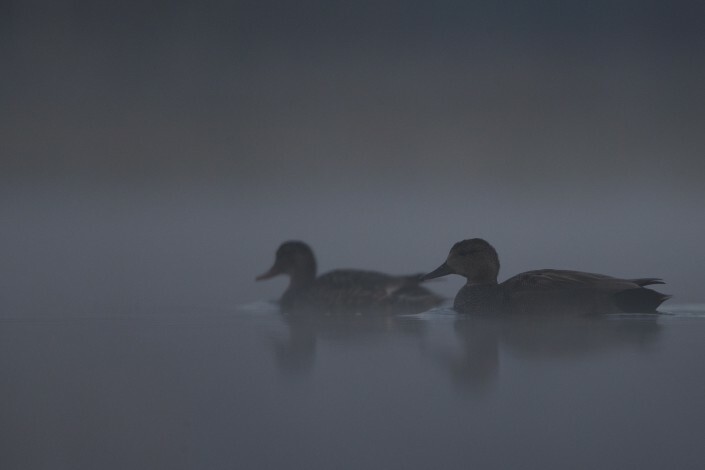 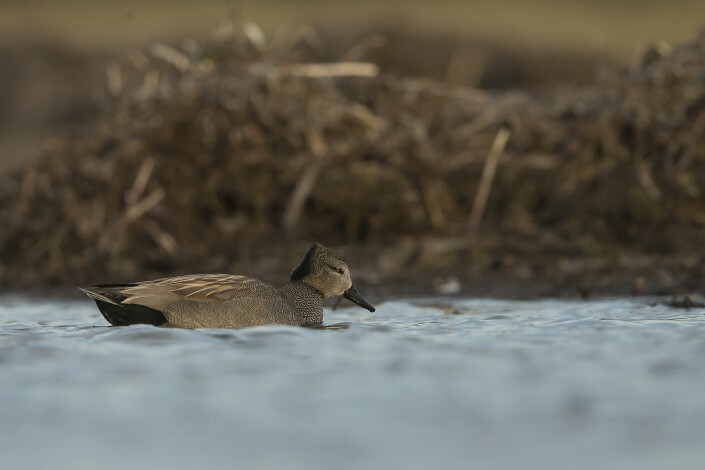 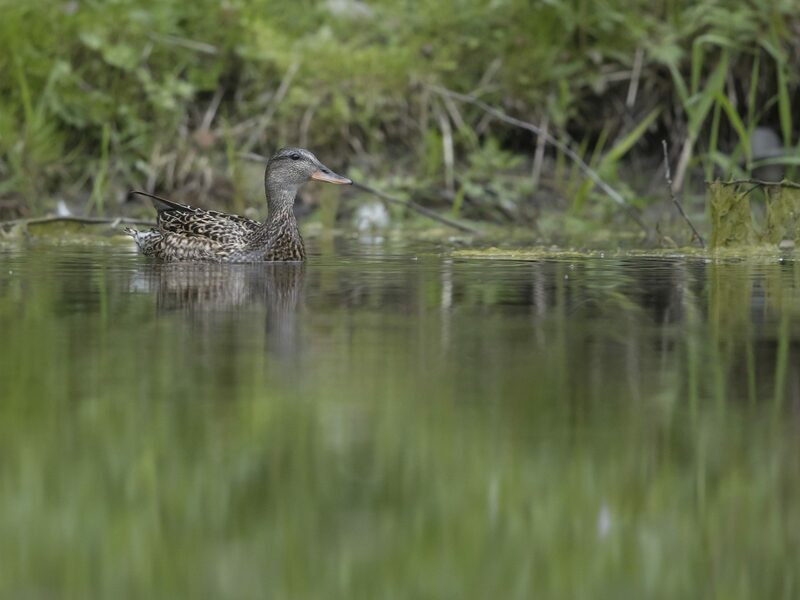 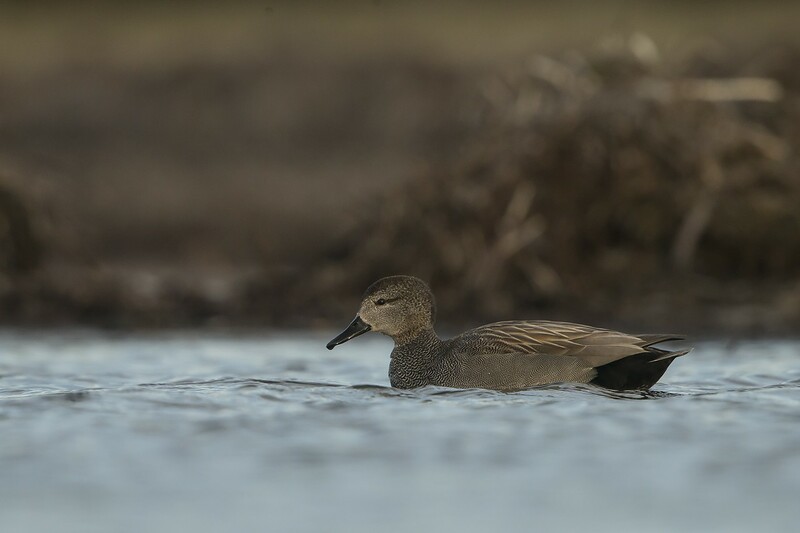 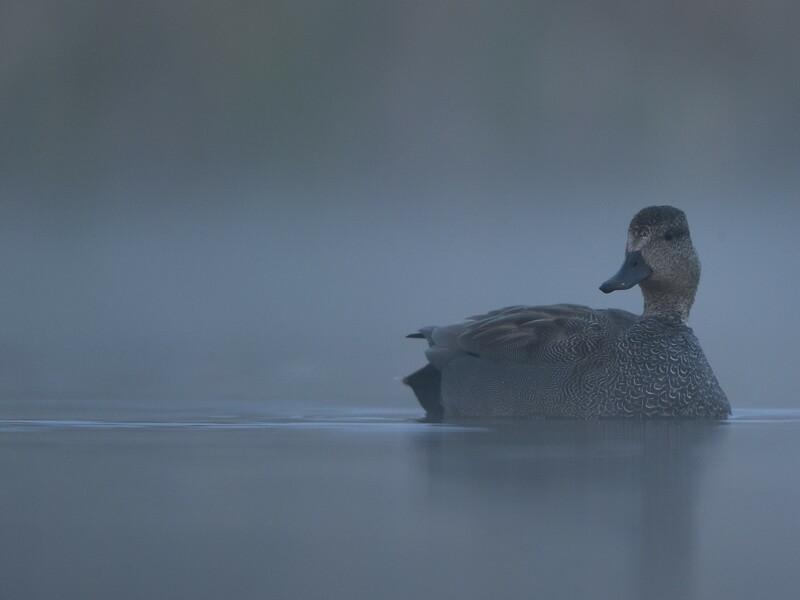 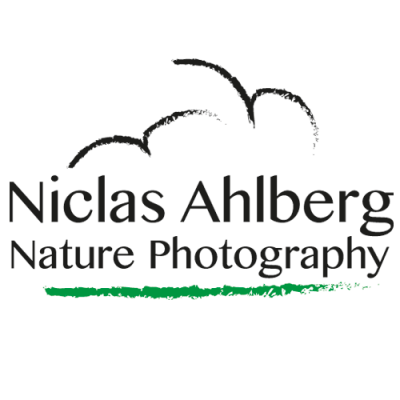 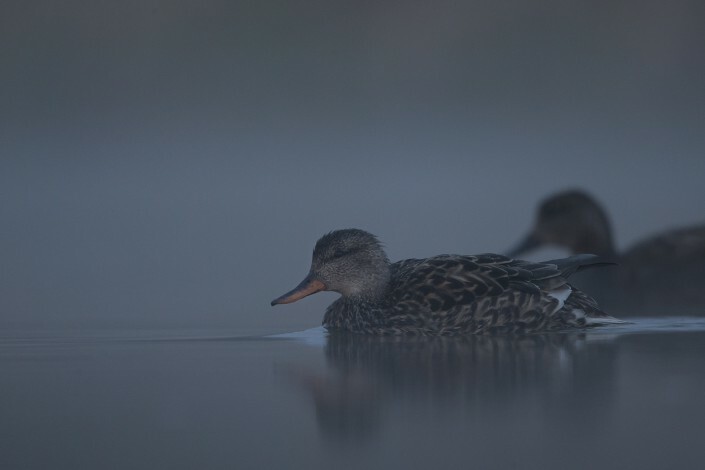 It usually frequents Wetlands and dabble The gadwall is 46–56 cm (18–22 in) long with a 78–90 cm (31–35 in) wingspan. 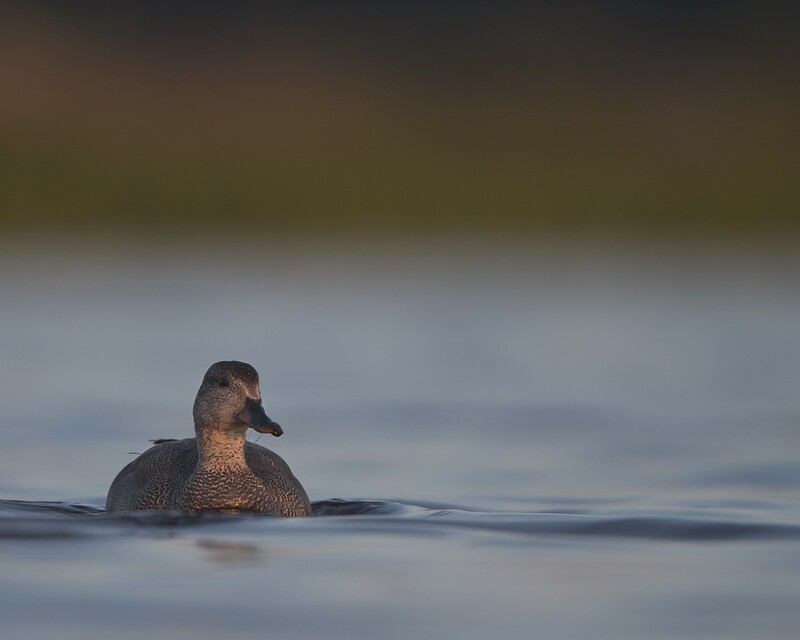 The male is slightly larger than the female, weighing on average 990 g (35 oz) against her 850 g (30 oz)] The breeding male is patterned grey, with a black rear end, light chestnut wings, and a brilliant white speculum, obvious in flight or at rest. 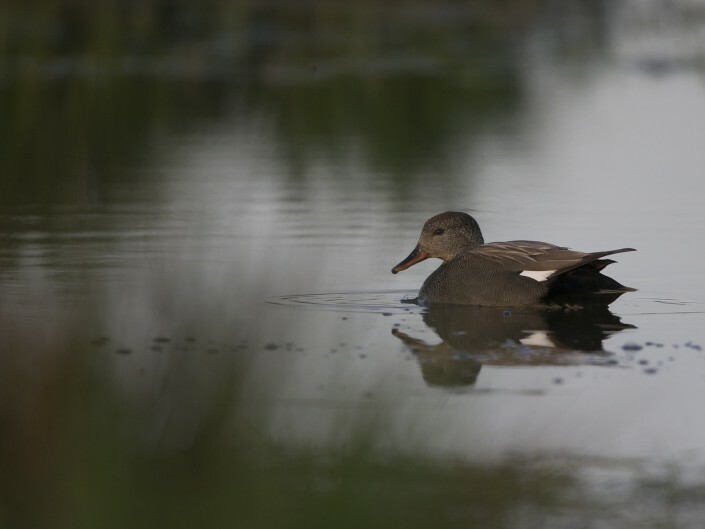 In non-breeding (eclipse) plumage, the drake looks more like the female, but retains the male wing pattern, and is usually greyer above and has less orange on the bill.